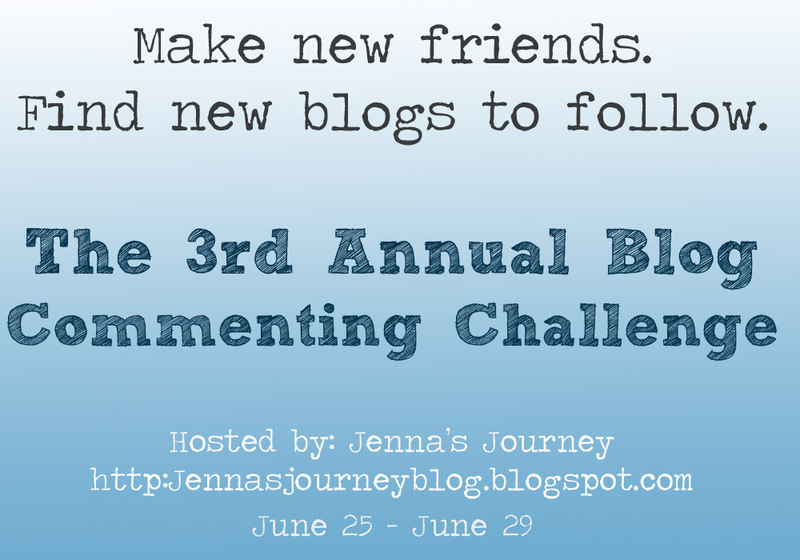 Jenna Blogs: Day 4 of the Commenting Challenge! 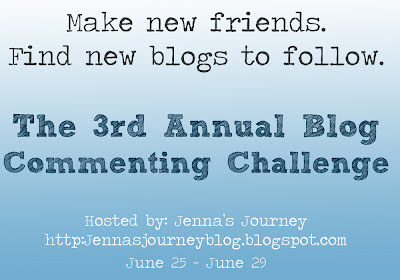 Welcome to day 4 of the 3rd Annual Blog Commenting Challenge! 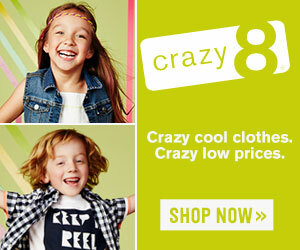 If this is your first time here and you're trying to figure out what the challenge is, or if you need to link your blog to the challenge click here. Also click that link if you are looking for the list of blogs to comment on! Tell us about your hobbies! What do you do in your free time? What are your favorite books, movies, music etc? Seriously. I read almost every single day. My kids take 1 nap a day at the same time for about 3 hours, give or take. I usually spend some of that time reading. I'll wake up early to read or, more likely, stay up waaaay too late. If I find a book I love, I've been known to read until 4am then get up at 7am. I have always been that way. When I was a kid my parents never had to worry about me misbehaving or any of that, because I was always in the corner with my nose in a book. Little known fact about me: In 4th grade I was put in the "gifted and talented literacy program" because I tested at a junior in college level for reading comprehension. Haha! I listen to everything - classical, Christian, pop, rock, you name it. Country is probably my least favorite, but I do listen to some of it (like Taylor Swift type stuff). Right now, I'd say my favorite band is The Black Keys. I've actually liked them for a couple of years now. I've never been to a concert (unless you count The Gaither Vocal Band, and I don't) but if I could pick one to go to, it'd be theirs. Movies...well, I'm not a huge movie buff but I do like to watch movies. I wasn't able to go see The Hunger Games in the theatre, unfortunately, but I will watch it as soon as it comes out. I really wanted to see Snow White & The Huntsman - maybe for my birthday! As far as favorite movies go, I love Sweet Home Alabama, Christmas Vacation, Pride & Prejudice (the one with Kiera Knightly) and Serendipity. Lastly, I really enjoy baking. I like to cook as well, but baking is my favorite thing to do. I love creating new recipes, and I really love sharing my creations with my friends and family. I post a lot of what I make in my recipes section. Christmas is my favorite time to bake - I probably make at least 10 or 15 types of goodies every Christmas!